iOS 11 has become fully Touch on iPhone X. Here are 4 gestures touch or not that you probably do not know and that will allow you to go faster on your smartphone. Who says more home button , says more multitasking accessible in an effective double support. The gesture proposed by default by Apple is triggered quickly and we understand very well how to bring it from an application or the office. That said, it takes a bit of time to trigger and it could annoy the most impatient in the long run. Chance, another gesture exists: by sliding the finger in inverted L, from the bottom to the middle of the screen and then to the right, you pull the multitask towards you , without any transition. You will understand the movement in a few seconds and you will have adopted it after a few repetitions. Some users have even taken a diagonal move from the bottom left corner to the center of the iPhone, removing a direction to take your thumb. A little more difficult to trigger, but it's worth a try. You can no longer drag an application up to close it on an iPhone X. Instead, keep your finger on the list of applications and wait for a small cross appears. You will then touch it to close the app of your choice. But there is a but: you can be much faster in one movement. When you are on the multitasking screen, you can leave your finger pressed and start dragging applications. Moreover, once the button to close the apps appears, you can do the same gesture as before to close them. On large screens, it is sometimes difficult to access the top buttons. Apple had thought of everything and allowed, with a double tap on the button, to lower applications and rows of applications. Today is still possible, but it requires adjustment. Start by going to Settings / General / Accessibility. Then tap Easy Access to activate it. 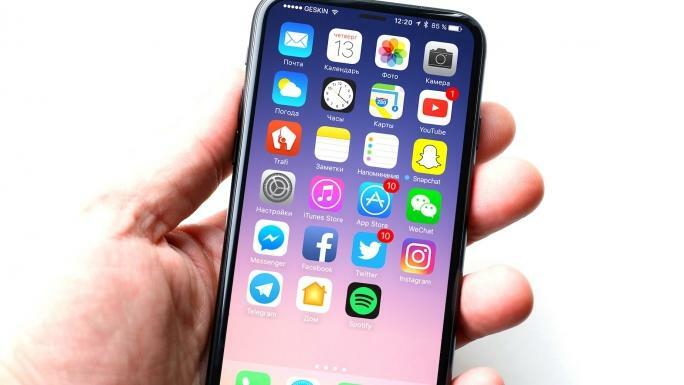 Now, the bottom area of ​​your iPhone becomes the receptacle of a new feature: slide down at the horizontal bar and this will pull the screen down. A police check, at the customs or just an evil twin to whom you tend your iPhone: you may need to disable Face ID urgently and discreetly to preserve your personal data. It's possible: screen off, just press the Power button and one of the two volume buttons. More prosaically, you do not need to aim: simply hold your iPhone in your hand and normally it should trigger the action. You will need to enter your code to find Face ID.